Full-colour mapping with numbered arrow pointers to identify the current position along the route. 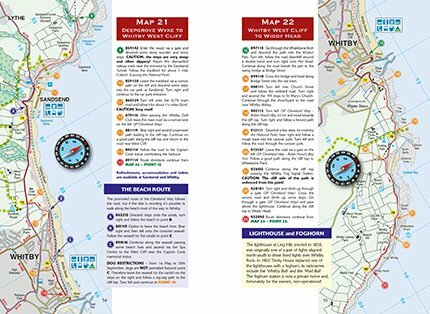 Route directions with grid references beside each map to aid navigation. 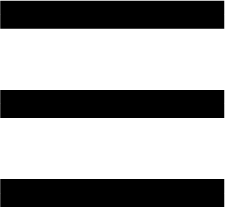 Background information for each stage of the trail. A selection of colour photographs to illustrate the journey. 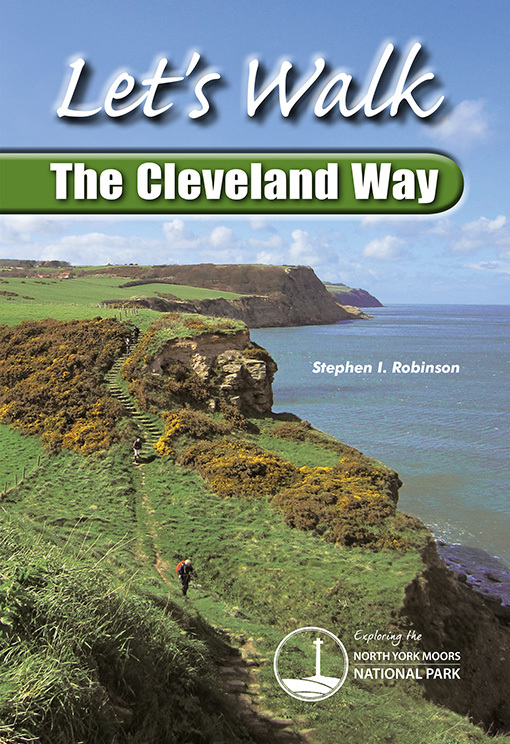 THE CLEVELAND WAY officially opened on 24th May 1969 to become the second National Trail in England and Wales. The route covers a distance of 109 miles (175km) sweeping around the edge of the North York Moors National Park to Saltburn before heading south along Yorkshire’s spectacular coastline to Filey. Although it may not be the longest of our National Trails, the Cleveland Way probably affords the most variety. Its magnificent scenery ranges from sylvan valleys and wild heather-clad moors to dramatic coastal cliffs with sheltered bays and picturesque old fishing villages. In addition to beautiful scenery, the Cleveland Way also takes in many sites of archaeological and historical importance, from Iron Age hill forts and Bronze Age burial mounds to medieval castles and impressive monasteries. Whatever your interests, you will find something to astonish and delight you during this inspiring journey. The Cleveland Way begins from the historic market town of Helmsley and traverses the wild, isolated moorlands of the Hambleton and Cleveland Hills en route to the North Sea coastline at Saltburn. 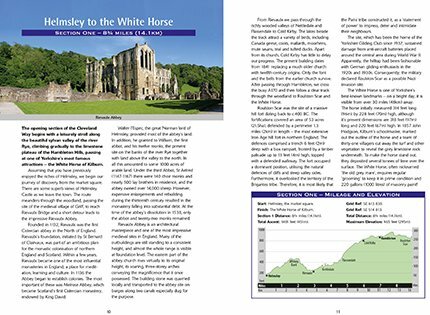 The trail crosses the beautiful wooded valley of the river Rye, taking in the splendid ruins of Rievaulx Abbey before continuing to the iconic landmark of the White Horse. However, the most well-known place hereabouts is probably Sutton Bank. Each year many thousands of visitors come here to admire the magnificent panorama over the Vales of Mowbray and York, with Lake Gormire, a natural lake located at the foot of the bank, enhancing the composition. James Herriot, Yorkshire’s most famous vet, described this as ‘the finest view in England’. Yorkshire’s dramatic coastline, widely known as the Dinosaur Coast, is world famous for its geology and fossil resources. The shoreline is continually changing due to the instability of the sea cliffs and fossils are prolific in the exposed rocks. Discoveries of ammonites are commonplace, although the remains of more substantial land and marine reptiles do turn up occasionally. However, if you want to confront the dinosaurs more personally, visit the Rotunda Museum, the home of ‘Scarborough’s Lost Dinosaurs’. The exhibition comprises fossilised evidence of dinosaurs, which roamed around the neighbourhood during the Jurassic period. The Yorkshire coast has an intriguing history, between 1700 and 1850 many of the picturesque fishing villages like Staithes and Robin Hood’s Bay were notorious as smuggling ports. Captain Cook, the British navigator and explorer, began his seafaring career at Whitby, and Whitby Abbey provided the setting for Bram Stoker’s novel Dracula. During the Civil War, Scarborough Castle endured two sieges, and in the opening months of World War I, German battleships shelled the town and castle from the bay. And the Romans were the first to recognise the importance of Filey – long before Billy Butlin!